Can a stressed pregnant dog pass down her stress to her unborn puppies? We may assume not, considering that likely puppies aren’t fully conscious yet, and thus, have little or no memory. And on top of that, isn’t the womb a place where babies and puppies are protected by any internal and external pressures? 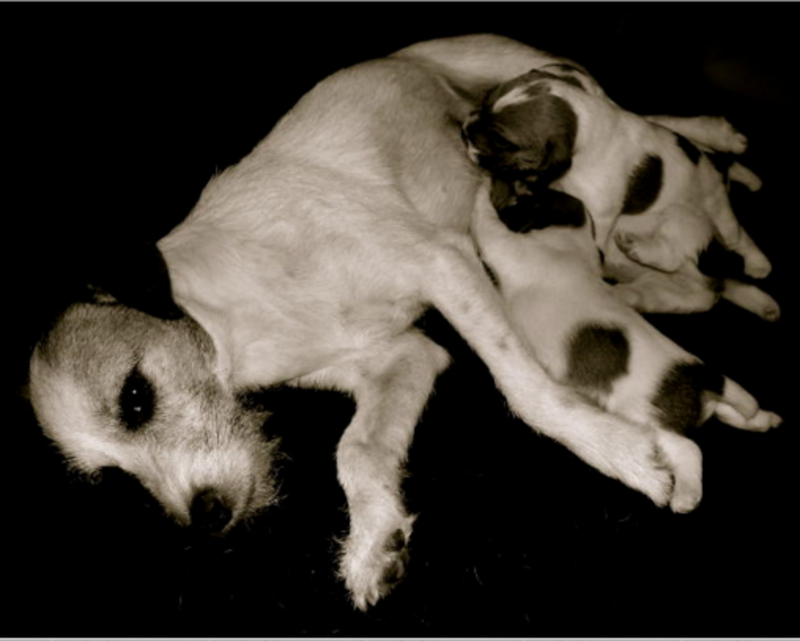 Wouldn’t the puppies be somehow shielded from the stress mother dog experiences? We often imagine the womb as a safe, protected environment that’s well-insulated and designed to shield from harm, but turns out a pregnant dog’s stress reactions may have an impact on her unborn puppies and there’s likely a survival reason as to why. Mother dogs won’t likely suffer from financial or relationship troubles, but they are vulnerable to other types of stress triggers. 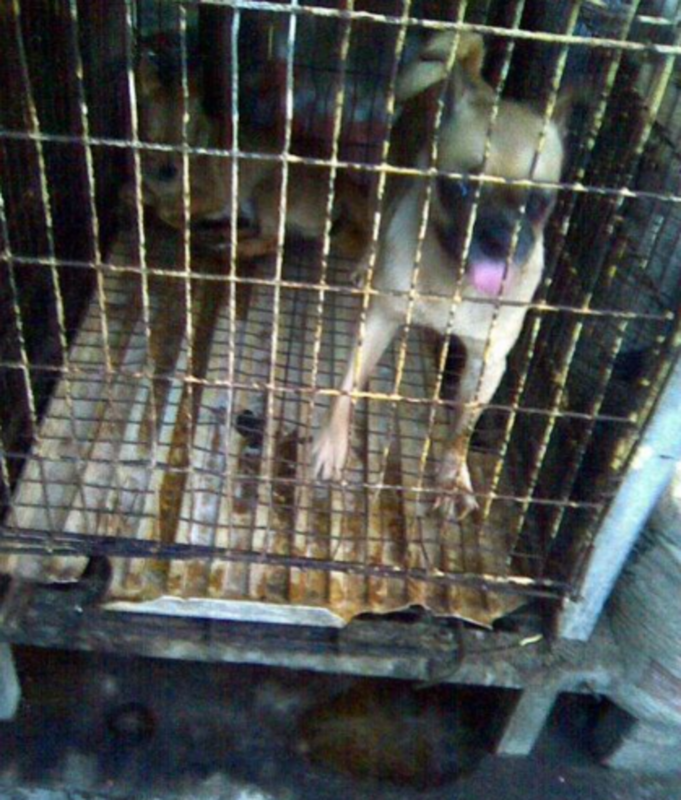 Let’s imagine for a second the level of stress a pregnant dog raised in a puppy mill may be exposed to. Housed in a cage with little space, exposed to loud noises, surrounded by a large number of dogs and provided with zero enrichment or positive human social interaction, these puppy mill breeding dogs are exposed to sources of psychological distress that can induce stress-induced psychopathology, explains board-certified veterinarian Franklin D. McMillan. When mother dog is stressed, stress hormones are released into the bloodstream. Normally, puppies are shielded from the effect of stress hormones courtesy of a special enzyme that inactivates them at the level of the placenta. However, when the levels of mother dog’s cortisol, a hormone released in response to stress, are consistently high, some manages to seep through the placenta with the end result of reaching the developing fetuses. What does this mean to the puppies? It means that the puppies “learn” that the world is a scary place to be and their bodies develop an appropriately tuned stress system and metabolism, explains veterinarian Jessica Hekman. As mother dog’s body deals with stress hormones, extra energy is pulled away from digestion and storage. This may affect the proper growth of the puppies, leading to the birth of puppies that are smaller in size. On top of that, prenatal stress in mother dogs may lead to long-lasting alterations in the brain structures of the developing puppies leading to behavioral deficits that are similar to those observed in schizophrenic humans, explains McMillan. Once born, the puppies are predisposed to anxiety and are particularly vulnerable to effects of stress as they have an impaired ability to cope and adapt to the challenges, threats, and adversity they may encounter throughout their lives. Let’s imagine how stressful life may be for a pregnant stray dog. 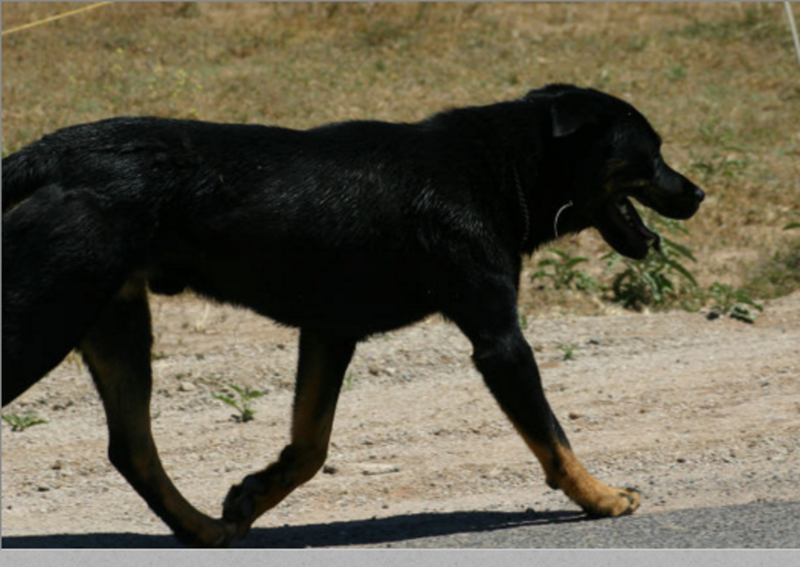 She may be wandering in search of food and endure daily stresses such as being attacked by other dogs, risking getting ran over and being constantly scared off by people. A highly reactive stress response in this case is important and can make the difference between life and death, explains Hekman. The release of stress hormones through the placenta in this case may offer an important survival tactic so that the puppies are better primed to face a harsh environment full of threats. While this can be an advantage if the pups lived on the streets, it would not be appropriate for puppies living as pets in the comfort of a home. In such a case, a hyper reactive stress system would turn out being unnecessary and maladaptive. This is why it’s so important that pregnant dogs are kept in a low-stress environment. In our previous article on when puppies develop their sense of smell, we saw how chemosensory prenatal learning shaped the dietary preferences of puppies when weaning time was around the corner. 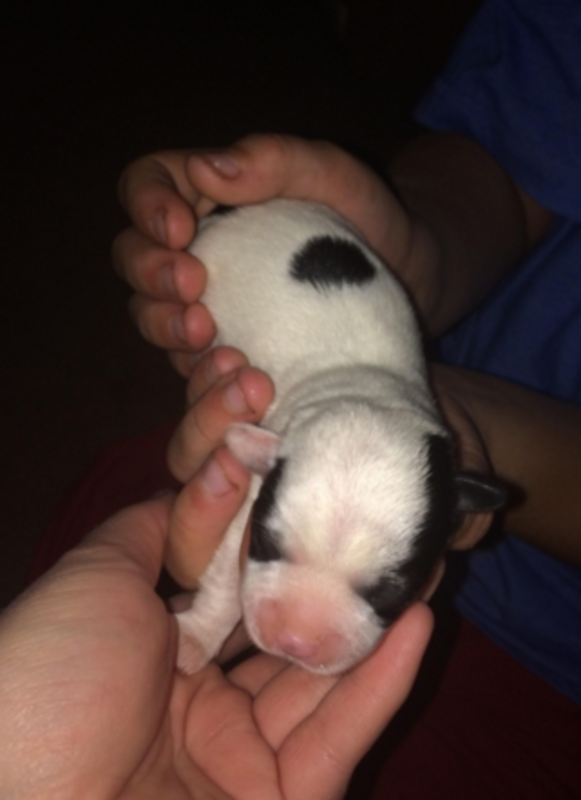 With smells passing through the amniotic fluid, and then flavors passing in the milk, we learned how puppies rely on their mother’s knowledge to learn about which foods are safe to eat. Today instead, we can see how prenatal stress affects the future behavior of the puppies. Discovering how mother dogs pass down these vital pieces of information to their puppies, so they can receive “a taste” of what life will be like even before they are born, is quite remarkable and fascinating. Prenatal stress is only one of the many possible factors that may be behind the presentation of puppies with a skittish behavior. There are several other things to factor in when it comes to the abnormal behavior development of puppies, some factors being present even prior to life in utero. One big factor is genes. Puppies may inherit behavior traits from their parents, therefore along with health testing, responsible breeders will screen their prospective dams and studs for sound temperament. The environment where puppies are raised also plays a big role in how the puppy develops. Knowledgeable breeders are aware of the deleterious effects of removing the puppies from the litter too early, inadequately socializing them and failing to provide adequate levels of enrichment and exposure to stimuli likely to be encountered in their future homes. Henry, C., Kabbaj, M., Simon, H., Le Moal, M., Maccari, S., 1994. Prenatal stress increases the hypothalamic-pituitary-adrenal axis response in young and adult rats. J. Neuroendocrinol. 6, 341–345.